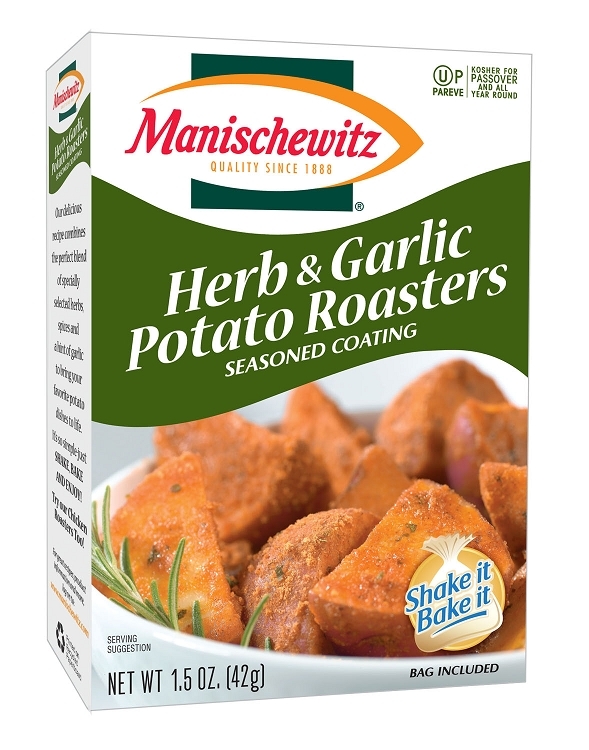 Our delicious recipe combines the perfect blend of specially selected herbs, spices and a hint of garlic to bring your favorite potato dishes to life. It's so simple - just shake, bake and enjoy! Try our Chicken Roasters too! Suggestion: Make delicious seasoned french fries that kids will love. Just cut potatoes into french fry strips and bake about 25-30 minutes or until tender. This is a whole new twist on potatoes! It is so easy and tastes great!! Plus it is made with Passover wheat! How cool is that! Thanks!